I added some twine with brads to make a cute banner then used Stampin' Dimensionals to stick the onesies on. 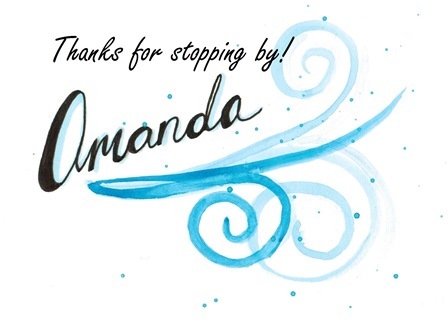 I stamped the greetings from a retired Stampin' Up set in Pool Party and Island Indigo. Here is what the insides look like. Some information has been hidden to protect privacy. The envelopes match too. These invitations were such a hit with everyone at the shower. If you need some but don't want to make your own I happen to have three sets of five cards each that have popped up in the shop!